Electronic Arts is all about the future. The company’s Play4Free portal for casual and social games brings in about $2 million in revenue every week, about $104 million per year. That’s almost as much as the $108 million in revenue that the entire FIFA franchise generated last year. Casual games are big money, and Electronic Arts’ very favorite thing is money. For those that still pine for the meatier old style games that EA built an empire on though, fret not. Some of that goodness is still on the way. The publisher made reference to two unannounced titles on the way during its Monday earnings call, one expected and one somewhat surprising. EA has a new Need for Speed and a new Dead Space in the works. That a new Need for Speed will be out by 2013 isn’t exactly a shocker. The series, while not quite as popular as it once was, remains a perennial earner for Electronic Arts and has if nothing else inspired some creativity in recent years. 2011’s Need for Speed: The Run wasn’t a racer for the ages, but its premise of a cross-country race against the law and an underground racing network was novel, even if the portions where you had to get out of the car were weird. The Criterion-made Need for Speed: Hot Pursuit from 2010 was great though, and it appears that, based on a job posting at the studio from last summer, this new game will be made be under their guiding hand. It will not be a sequel to Hot Pursuit, though it will likely be a sequel. South African retailer BTGames actually posted a listing for Need for Speed: Most Wanted 2 in April. The company also posted a listing for Dead Space 3 at the same time, the other game hinted at during EA’s investor briefing. 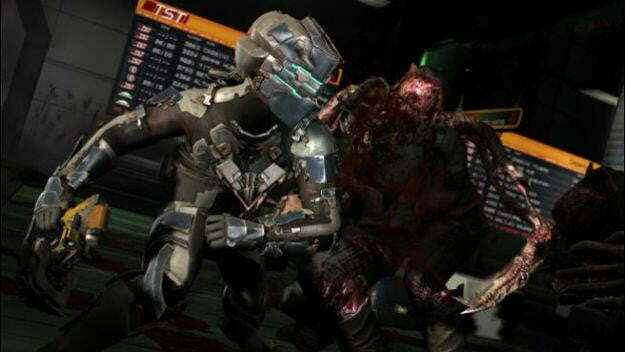 Dead Space has been a moderate success for EA since the series began in 2008, with 2011’s Dead Space 2 selling two million copies in its first week but trailing off quickly afterward. Given how cautious EA has become about funding console projects like Dead Space, a sequel comes as a surprise. This isn’t the first murmuring of Dead Space 3 to hit the Web however. Siliconera reported in September that a source within EA had leaked details of the sequel. Dead Space 3 will take place on an ice-covered planet named Tau Volantis where series lead Isaac Clarke has to take shelter from both slavering monsters and a vicious blizzard. Odds are very good that both games will pop up at E3 in June.